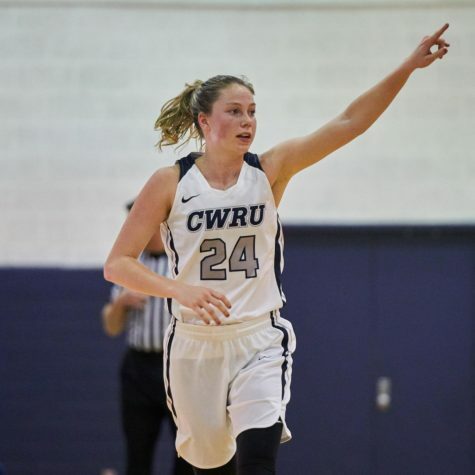 Although most students were relieved to have two days off due to cold weather, the Case Western Reserve University women’s basketball team’s rough schedule did not allow for any breaks. 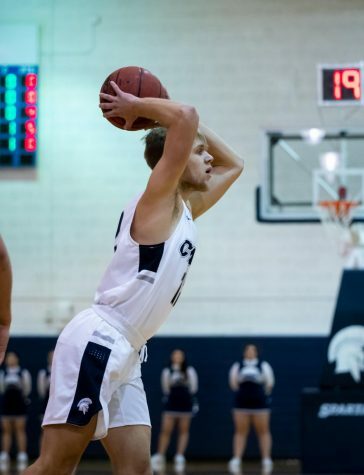 The Spartans dropped two games at home last weekend, finishing 60-54 against the University of Chicago and 81-62 against Washington University in St. Louis (WashU). The Spartans previously faced both opponents on the road last week where both games resulted in Spartan losses. The home court advantage at Throwback Weekend did not assist the Spartans, who are now on a five game losing streak. Chicago got off to a quick start scoring the first six points, but the Spartans quickly caught up and took the lead 9-8 after a jumper by first-year guard Abbey Lawrence with just two minutes remaining in the first. The game remained tight in the second quarter, with both teams trading leads while staying within one for the first minutes of the quarter. 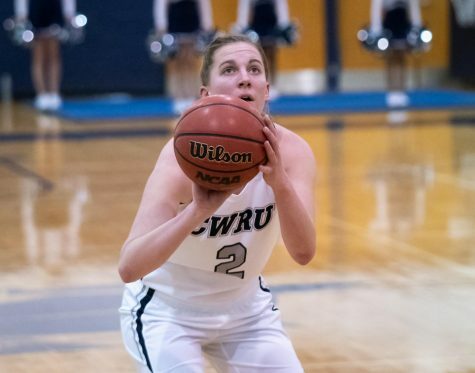 The Spartans pulled ahead after a jump shot by fourth-year student Hillary Hellmann and a three pointer by graduate student Kara Hageman, bringing their lead to four. Chicago was able to push back and close the gap to even the score at 30 with 24 seconds remaining in the half. The Maroons brought the heat following the first half, ending the third quarter with a 53-41 lead after outscoring the Spartans by 12 in the quarter. Third-year guard Alicia Marie Gonzales made a three pointer to bring the Spartans within ten with 8:55 remaining in the game. Despite a 10-0 run to tie the score, the Spartans were unable to gain the lead and ultimately walked away with the loss. Against WashU, both teams started the game pushing the ball and attempting to go on a run to gain the lead. Gonzales took advantage of the Bears giving her room to shoot and made two threes. After trading points until the middle of the second quarter, WashU exploded for a 20-0 run. Hellmann and Hageman attacked the basket in return to trim the lead back to 11 heading into halftime. In the second half, the Spartans tight zone defense bothered the Bears, getting into passing lanes and forcing turnovers. WashU did not hit a shot until four minutes remained in the third. However, like the Bears, the Spartans struggled to set up their own offense. The Spartans managed to find rhythm and went on a 7-0 run. First-year guard Alyssa Hyland took matters into her own hands, making two out of four threes in the quarter. The Bears continued to play up-tempo in the fourth, sending long passes into the paint for layups. 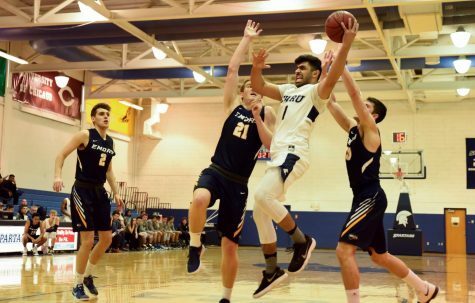 The Spartans played tight defense, but the Bears still managed to hit their outside shots, ultimately coming away with the win. 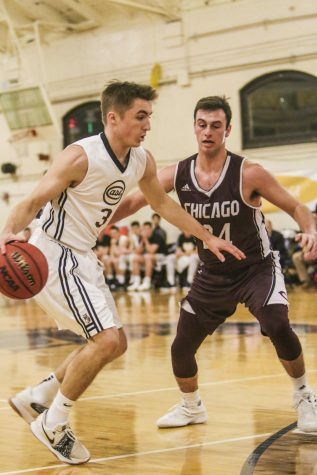 Hagemann lead the team offensively and defensively in both games, preventing drives and altering shots, highlighted by the two blocks in the third against WashU. She recorded 17 points and 10 rebounds against Chicago and finished the WashU game with 22 points and 13 rebounds. 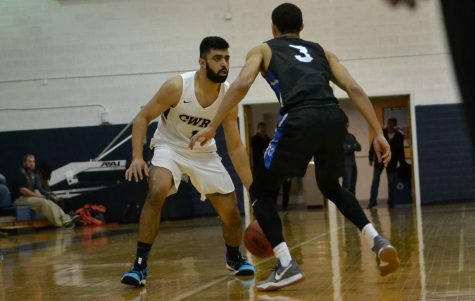 The Spartans will look to break their losing skid on the road against New York University on Friday Feb. 8, and Brandeis University on Friday Feb. 10.